At this year's Geneva Motor Show Bugatti will celebrate the Veyron, the most powerful and fastest production super sports car in the world, which has caused a sensation across the world ever since its launch ten years ago. The Veyron is limited to 450 units. All 450 Veyron are sold - a huge success for the brand. So far no other carmaker has managed to successfully market a product that stands for unique top-class technical performance and pure luxury in a comparable price/volume range. 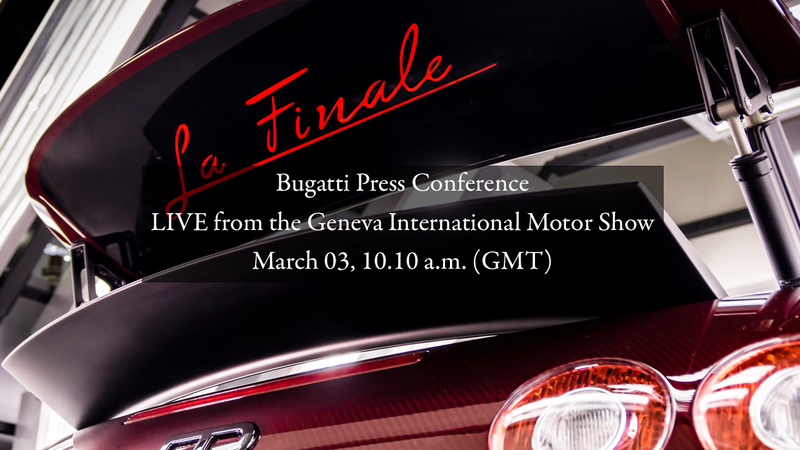 With the unveiling of the last Veyron in Geneva an unprecedented chapter in the automobile history is reaching its climax. Bugatti presents the Veyron 16.4 Grand Sport Vitesse 'La Finale' with chassis number 450 as a world premiere, alongside the first Veyron 16.4, which left the Atelier in Molsheim ten years ago and started the triumph of this exceptional super car.